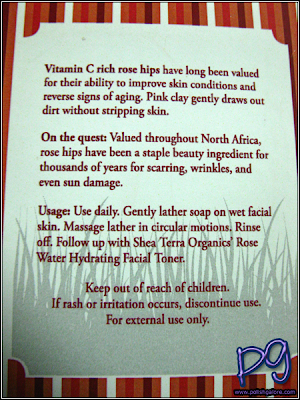 Have you heard of Shea Terra yet? 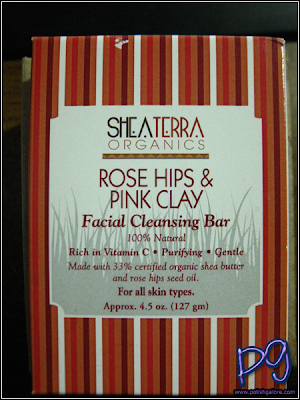 I was first introduced to this brand last summer but am just now getting around to seriously trying the Rose Hips & Pink Clay Facial Cleansing Bar (4.5 oz for $8.00). You can read all about Shea Terra's Legacy here, as it's full of information including how their company helps Africans sustain their environments and families. Here's shots of the other sides of the box. 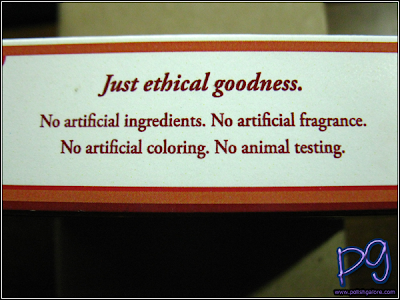 Very good for those with sensitive skin (like myself). I love the smell of rose! 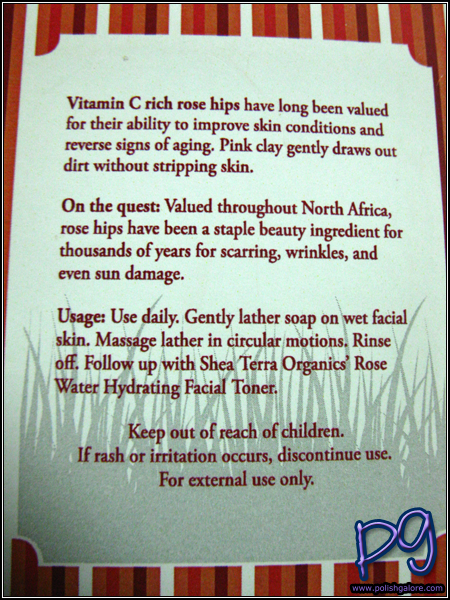 A little more information on rose hips and pink clay. 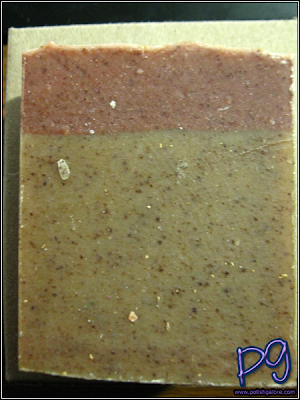 The tops of the soap are shaped almost like a rocky plateau. Now, on Shea Terra's website, the bar is all pink, not half pink/half brown like my bar. I think mine may have dried out from sitting in my house for 6+ months. So how does it work? This bar is to be used once daily and is best used before bed. Lather the bar in your hands and then massage the lather into your face with your fingers. Rinse off well. 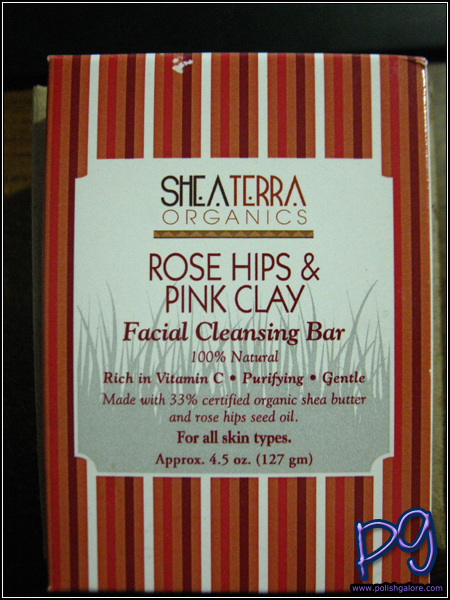 Shea Terra recommends you following it up with their Rose Water Facial Tone and a facial oil or cream but I just used the bar alone. The lathering is good - not thick but the soap feels cooling against my skin. 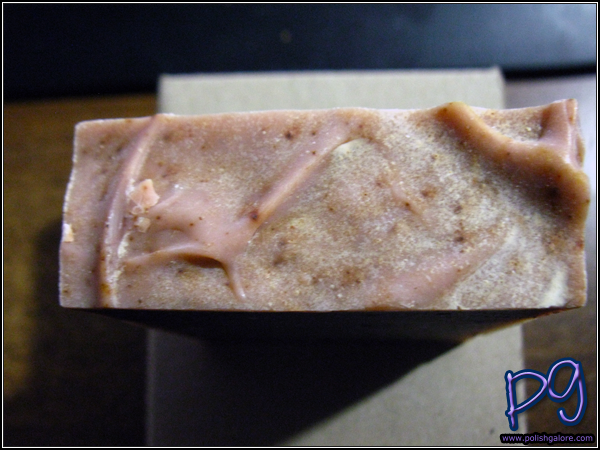 It washes away clean without any heavy feeling on the skin and there is a slight rose smell that lingers. 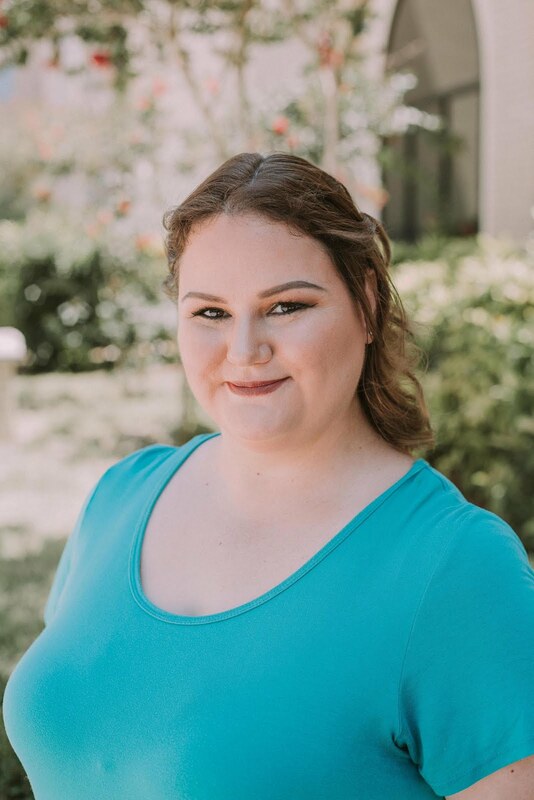 I didn't notice any issues with irritation or any additional break outs or clogged skin which is always a plus. Overall - I'm very pleased! 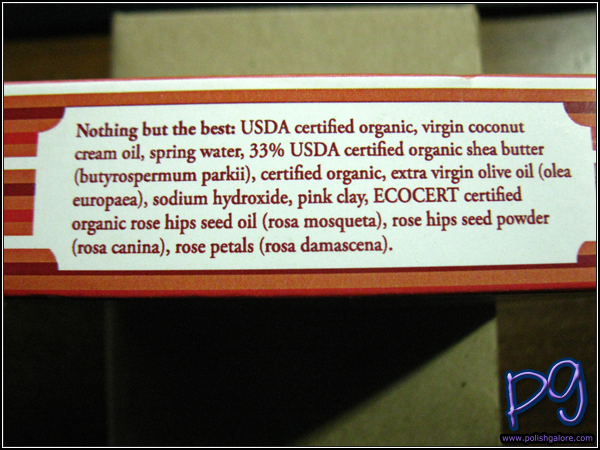 Shea Terra may be purchased on their website or by calling (+1) 877.427.6627 (M-F 10 a.m. - 6 p.m. EST). You can Like them on Facebook & follow them on Twitter. They constantly have giveaways on their Facebook and occasionally post coupons on their Twitter page. Thanks for the review, I'll check them out. 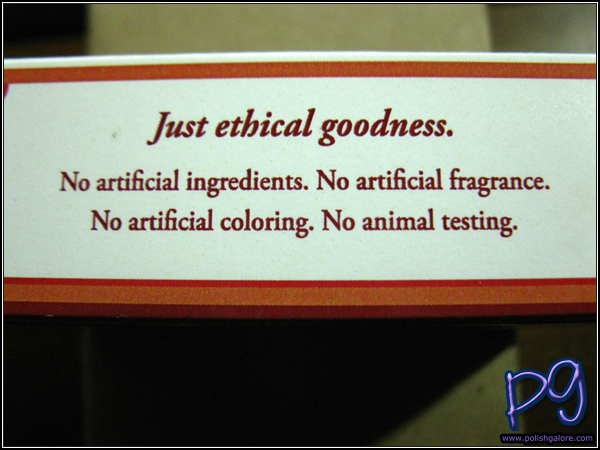 They really are lovely products!